By far, the most confused words based on their pronunciation are eminent and imminent. Once an auto-correct feature on one’s phone decides to write imminent instead of eminent, the intended meaning changes. Also, people quite often tend to interchange the two with disregard to either the difference in spelling or the meanings for each. The two are homophones yes, but very distant when it comes to their meanings. The key difference between the two words is in their meaning. While eminent describes someone who is famous, imminent describes something that is about to happen, for example, an accident. A cross-examination of the two words could serve a good line for drawing the differences. Getting their meanings and applications is also a better way of differentiating them. Eminent refers to (mostly) an individual who is famous and also respected within a specific sphere. It could be in the political arena, scientific sphere, statistics, medical, sports, among other fields. Imminent is an adjective used to describe something that is about to happen. The most common application is, “…. imminent danger.” This means that the danger is about to happen, it’s impending, at hand, near, or approaching. Eminent is an adjective that describes a person who is famous and respected in a specific field while imminent is an adjective used to describe something that is about to happen. 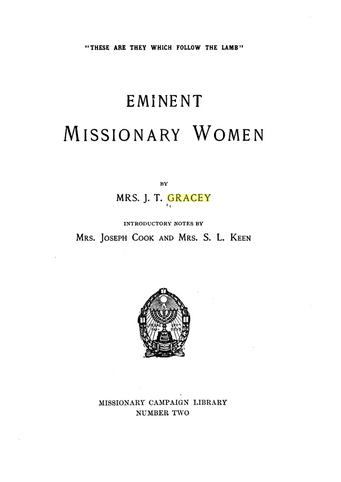 Eminent is pronounced as /’ɛmɪnənt/ while imminent is pronounced as /ˈɪmɪnənt/ or /ˈɪmənənt/. Other words that mean the same as eminent include distinguished, illustrious, pre-eminent, esteemed, renowned, notable, prestigious, significant, important, great, and influential. On the other hand, impending, looming, looming large, in the pipeline, approaching, close, near, at and, about to happen, and in the offing are some of the synonyms of the word imminent. Eminent: – the university invites eminent personalities every year for a public speaking event for the outgoing class. Imminent: – despite the government warning the villagers of the imminent danger if they continued mining in the public quarry, they gave it a deaf ear. Quite often, and understandably, homophones are a great source of confusion for most people. Since they cannot be distinguished in commonly spoken language, the challenge is even bigger. However, it can be easy if you pay more attention to the initial vowel sound and relate it to an identifier of your choice. The basic thing to have in mind is that eminent is about people while imminent is “about to happen”. Sarah Brown. 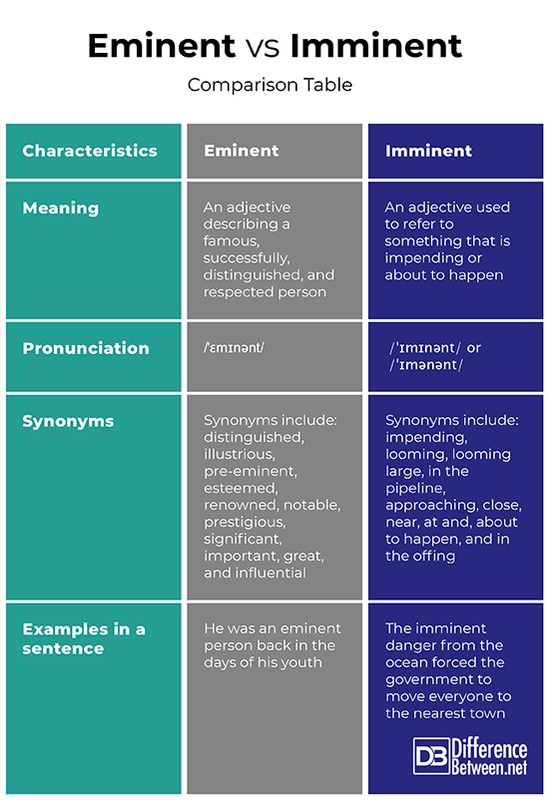 "Difference Between Eminent and Imminent." DifferenceBetween.net. April 1, 2019 < http://www.differencebetween.net/language/difference-between-eminent-and-imminent/ >. "Eminent / Imminent / Immanent | Common Errors In English Usage And More | Washington State University". Brians.Wsu.Edu, 2019, https://brians.wsu.edu/2016/05/25/eminent-imminent-immanent/. "Eminent Vs. Imminent". Softschools.Com, 2019, http://www.softschools.com/difference/eminent_vs_imminent/72/. Thinkmap, Inc. "Eminent Vs. Imminent On Vocabulary.Com". Vocabulary.Com, 2019, https://www.vocabulary.com/articles/chooseyourwords/eminent-imminent/.